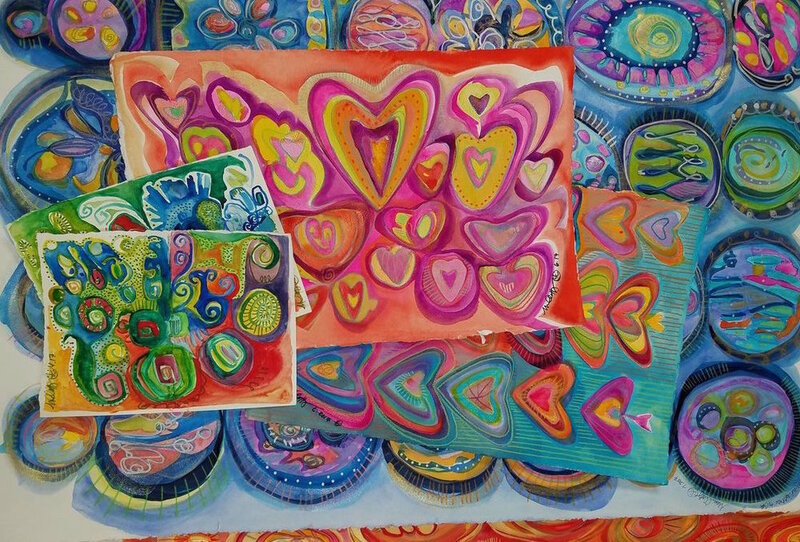 Explore Maureen Claffy's artistic process through her use of high-quality professional materials and media. The process begins with curiosity about life and change. I choose materials that will express the vision. My intention in making art is always to be open to what God wants to speak through the work. I simply allow it. Sometimes I have no idea what I am painting. If I am patient, it is always revealed. I love being immersed in it all. 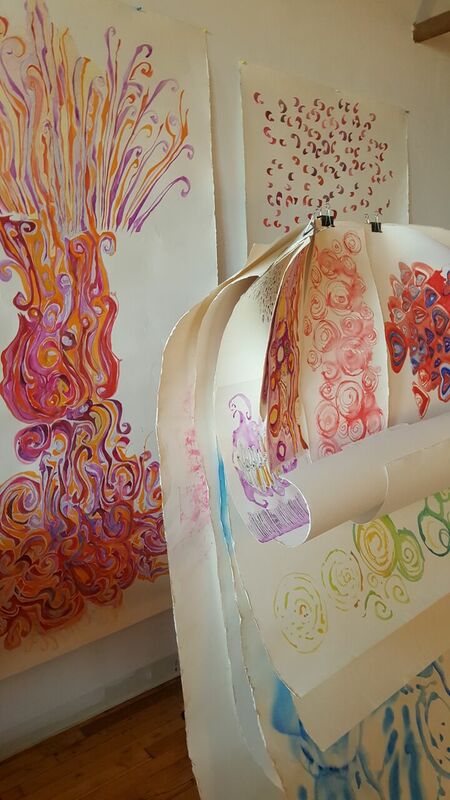 Painting a series is full of miracles, revealing a path to growth and a generative way of living. It transforms me. Making the work is healing, as is living with the paintings. The art carries its own magnificent energy, surprising even me. I work with only the most excellent materials: professional grade acrylic paint, ink, watercolor, pencil, marker, metallic, iridescent media as well as binding and grounding materials for texture. Size options are infinite with custom commissions. The process is very much like having a dress or a suit cut and sewn to order. I work on heavy weight watercolor paper, birchwood panels and stretched canvas. Birchwood and canvas on stretchers are individually custom manufactured by hand. Paper can be rolled and shipped easily. Stretched canvas can be dismounted and rolled to be reassembled upon arrival, birchwood requires crating and special care. I can help with it all. One of my very favorite things in the world is an installation of my work. I work with the very best installers and supervise the placement. 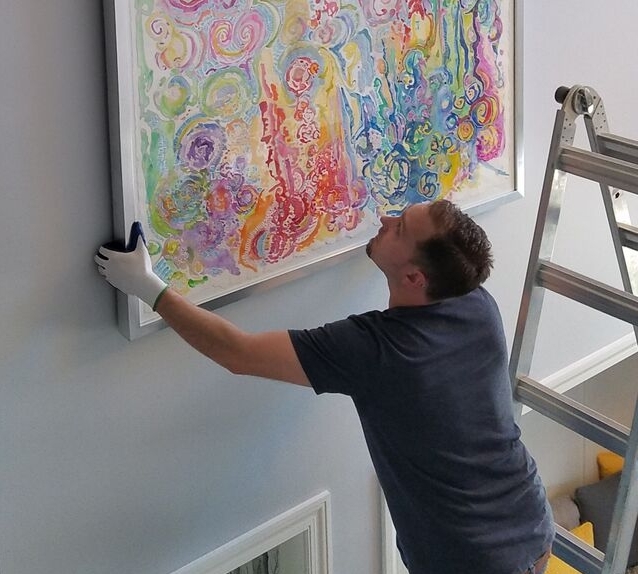 Custom, professional delivery and installation is available to all collectors of my work. Please see Custom Commissions for more information on the collaborative process and approval stages for custom client work.